With two floors of inspiring furniture and beds, extending to over 20,000 square feet, a day out to our Barnstable superstore will have you overflowing with inspired ideas for your home. The very first store in our FW Homestores brand, Barnstaple aims to offer a wide selection of furniture ranging from sofas and armchairs, dining tables and dining chairs to accessories and wallart. With 20, 000 square feet, Barnstaple is one of our largest stores and is sure to have something that will catch your eye and match your style. We encourage putting your feet up or having a cuddle on the sofas and having a lay down on one of our beds, just like you would at home. We also always have the kettle on if you fancy a cup of tea or coffee while you shop! Our Barnstaple showroom is conveniently located offering easy links to main roads with just a 40 minute drive from Tiverton and 1 hour from Taunton. Our complimentary coffee bar provides you with a place to sit back and relax in-between browsing our huge range of stylish products. 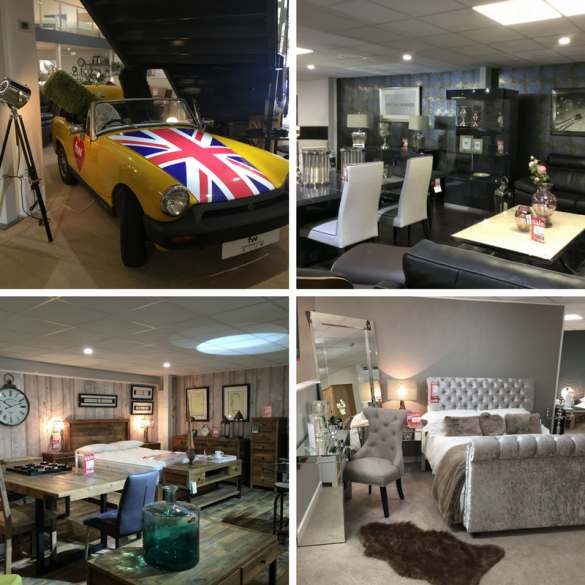 With two floors of inspiring furniture and beds, extending to over 20,000 square feet, a day out to our Barnstaple superstore will have you overflowing with inspired ideas for your home.